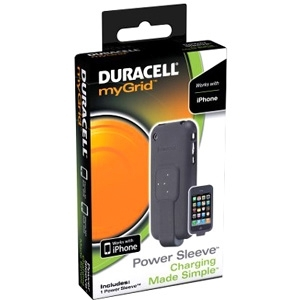 PPSUS0001 myGrid iPhone Power Sleeve... This Power Sleeve, created specifically for the iPhone, comfortably slips onto your phone. In addition to protection from accidental drops and scratches, this sleeve is a sleek way to let your phone charge on myGrid, the cord-free way. This sleeve fits iPhone 3G/3GS.